CD Genomics provides whole-genome SNP genotyping for the overview of the entire genome by using both microarray technologies and high-throughput next-generation sequencing (NGS), enabling genome-wide discoveries and screening of the SNP loci. Genome-wide association studies with SNP markers are expected to allow identification of genetic variation that underlie complex disorders. 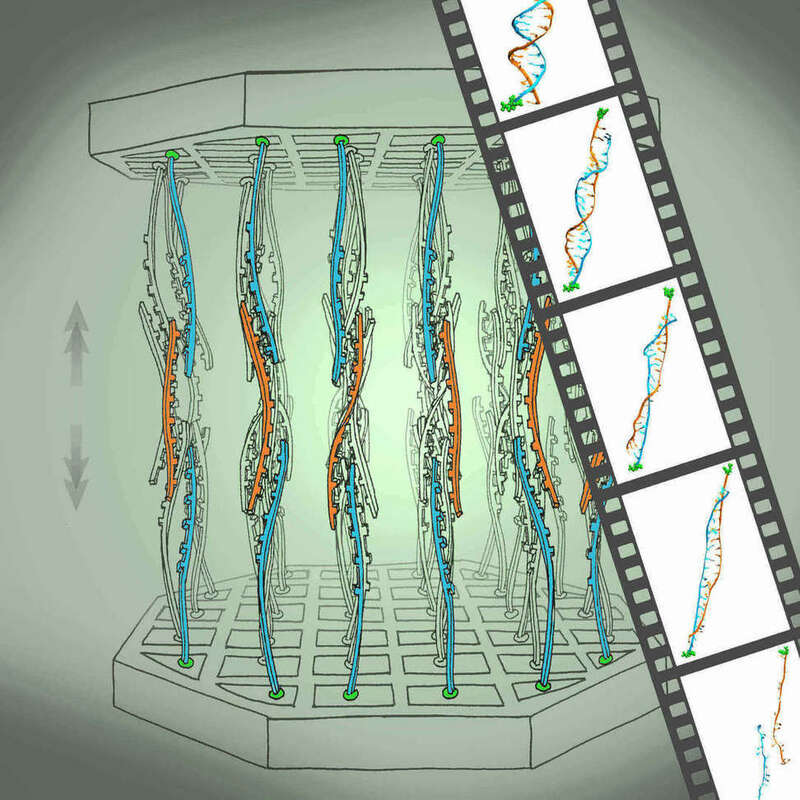 Microarray-based technology can interrogate over five million markers per sample for genotyping at the resolution of single nucleotides on a genome-wide scale. Our microarray-based SNP genotyping services comprise of Affymetrix SNP arrays and Illumina SNP arrays. The Affymetrix genotyping arrays on the GeneTitan instrument (Axiom array plates) and the GeneChip Scanner 3000 7G System (cartridge arrays) can be used for a variety cases – for a few and for a lot of samples, and from targeted to genome-wide applications by selecting the specific pre-designed genotyping arrays. The high density genotyping on Illumina Infinium or GoldenGate® arrays allow powerful genome-wide association studies (GWAS) and can accurately detect point mutations and copy number variants. Currently, Affymetrix offers genotyping arrays for livestock and aquaculture species (buffalo, cattle, chicken, pig, salmon and trout), crops (cotton, maize, soybean, strawberry and wheat) and biomedical and model organisms (human, dog, mouse and Arabidopsis thaliana), while Illumina markets genotyping BeadArrays for human and non-human species (cattle, dog, maize, pig and sheep). SNP array has been taken as the preferred technique in some circumstances because of its high-density, assay accuracy, simple data analysis and easy data exchange between research programs. However, these commercially available SNP arrays or chips cannot be easily modified to suit individual experimental designs. In addition, relevant research cannot be conducted for species that do not have commercially available SNP arrays/chips. NGS technologies are powerful tools for SNP genotyping, which can efficiently and accurately discover and genotype many thousands of SNPs to investigate quantitative, functional, and evolutionary genomics in human, animals, and plants. Whole genome sequencing or whole exome sequencing for SNP genotyping results in low genotyping accuracy and high genotyping errors because of the low coverage and is cost-prohibitive. We provide both genotyping by sequencing and 2b-RAD services for SNP genotyping. 2b-RAD is a reduced genome representation sequencing or restriction site associated DNA sequencing strategy, to discover and genotype genetic variants in a cost effective manner, which are applicable to both model organisms with known genomes and non-model organisms with unknown genomes. 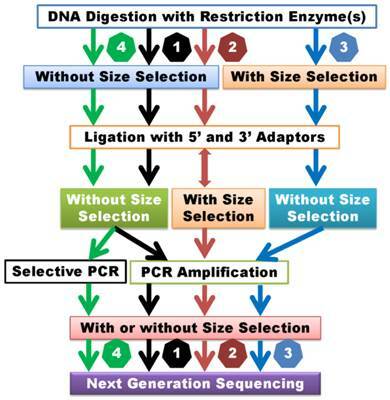 This technique is defined as library construction by digesting DNA with restriction enzymes and analyzing the subsequent library with Illumina sequencing platforms. CD Genomics is committed to providing SNP genotyping in a genome-wide scale and an affordable way, our experienced scientists can offer professional supports for your project to meet your research objectives and budget.